Through diligent surveillance, two Minnesota turkey farms have detected low pathogenic avian influenza (LPAI). Minnesota has been influenza-free for the last 42 months. 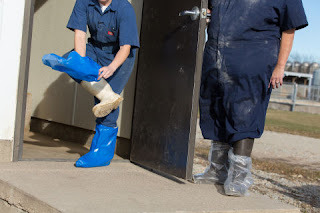 These incidents should make every poultry employee, manager and owner step-back and think about possible complacency in their biosecurity practices. An influenza virus needs a host in order to grow and Minnesota has plenty of hosts to offer within our poultry industry and thriving waterfowl habitats. Clinical symptoms for LPAI are minimal with no physical symptoms while some birds may exhibit respiratory distress. The particular strain of influenza currently present is H5N2. An H5 virus has potential to mutate into a more serious strain of the virus. This can happen because the virus becomes stronger with each new host (individual bird), and it takes a less infectious dose to infect the next bird. There are resources available to review Danish Entry concepts. Short tutorial videos on 2-zone and 3-zone Danish entry are available to watch and Spanish versions are available on the Extension Poultry YouTube channel. These videos and other training resources can also be accessed through the National Poultry Improvement Plan biosecurity plan audit training created by University of Minnesota Extension at z.umn.edu/NPIP. In addition to reviewing biosecurity measures with farm employees, also review procedures and training for any service providers that visit your farm site(s). 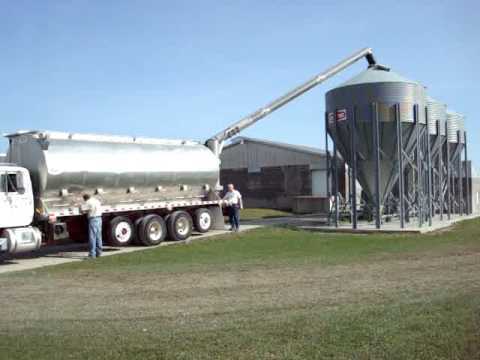 Feed and bedding, parcel delivery, garbage and rendering vehicles are all potential contamination sources. For example, a garbage disposal truck may visit multiple poultry premises before depositing at a landfill. A case study in 2016 (Garber et al.) concluded these trucks could contain dead wildlife, poultry carcasses, eggshells, and other materials that may have been in contact with poultry. In the same report, 61% of H5N2 infected farms reported their dumpster was or garbage trucks traveled near their barns, while only 23% of healthy farms reported the same. Biosecurity is key to preventing and reducing the extent of virus spread. Follow basic biosecurity rules of isolation, traffic flow control, sanitation and cleaning and disinfection. Participating in thorough biosecurity will help avert the invitation for influenza to find a host at your farm.